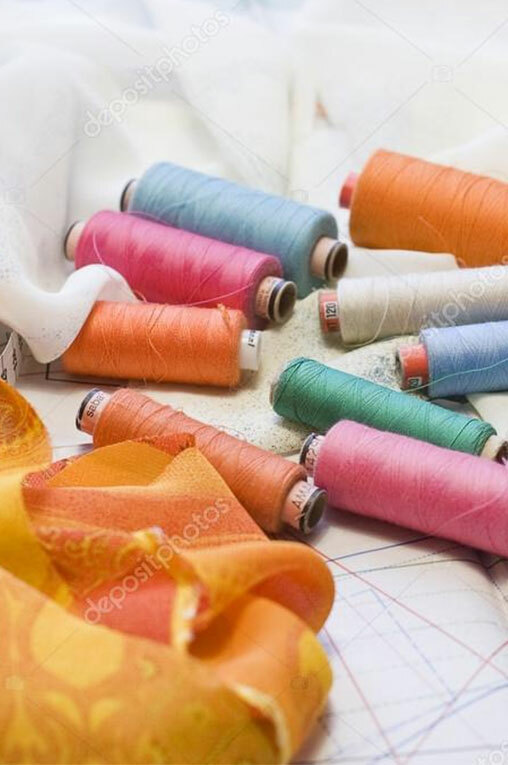 Nylon filament yarn is a long continuous lustrous fibre, which is extensively used to produce a comprehensive range of textile fabrics such as sarees, draperies, furnishings and upholstery, sports-wear, mosquito nets and also for embroidery. Nylon filament yarn is known for its excellent dyeability, high tensile strength and elasticity with enhanced abrasion resistance, durability and toughness. Its properties make it the preferred choice over natural yarn options, such as cotton, silk and wool. Being easily dyeable, nylon filament yarn imparts exquisite lustre and vibrancy to the fabric. Our product promises value to the customer that goes beyond “must haves” in clothing to “ultimate haves”. Our superior product engineering ensures durability, softness and effective moisture management which makes nylon filament yarn most apt for new generation intimate fabrics and garments. Nylon Mono filament yarn are defined as a single strand of untwisted continuous fiber and is available in bright and semi dull lustre through different routes of production. These multi-functional yarns are designed for varied weaving applications. Mother yarn is a multifilament drawn yarn which is further converted into mono filament yarn by splitting the ends at spinning process. Their area of application is in sarees, dresses, drapes, mosquito nets. It also finds use in the automobile sector and in the manufacture of sports shoes. Fully drawn nylon filament yarn is produced at higher speeds along with intermediate drawing integrated at spinning. This enhances the stabilisation of polymer through orientation and crystallisation, a primary factor that contributes to strengthening the nylon filament yarn. Partially oriented nylon filament yarn is commonly known as POY. It is the first form of yarn made directly from melt spinning process and finds various downstream applications such as ATY, DTY and draw warping. High oriented nylon filament yarn, commonly known as HOY, is similar to POY except that it is produced through the high speed spinning process to create stabilisation and crystallisation without the drawing process. Drawn textured nylon yarn is made from POY through texturising process, i.e. simultaneously twisted and drawn. DTY yarn is a continuous filament yarn that has been processed to introduce durable crimps, twists, interlaces, loops or other fine distortions along the length of the filament. ATY is obtained when POY is drawn and texturised through air stream in a chamber. ATY is also called spun-like yarn, owing to the hairy feeling like natural yarn. DW nylon filament yarn is a flat yarn obtained when POY is drawn, stretched and intermingled on draw winder or draw twisting m/cs. Jumbo beam group of POY yarns are drawn, intermingled and wound on beams for specified ends. End use can be sizing for weaving or beams for warp knitting. It is a continuous synthetic filament strand collected in a loose rope-like form. It is cut to make small fibers for final usage in the flocking process. Strength: Polyamide has good tenacity and the strength does not diminish with age. It is one of the lightest textile fibres, but also one of the strongest. It provides tenacity to areas of the garment that are prone to excessive wear and tear like knees, backside of jeans and toes and heels of socks. Resilience: Polyamide fabrics have excellent resilience. Polyamide fabrics retain their smooth appearance and the wrinkles from the usual daily activities can be removed easily. Drapability: The drape of the fabrics made from Polyamide can be varied depending on the yarn size. The lightweight sheer fabrics of Polyamide night gowns have high-draping quality. The medium-weight dress fabrics can be draped beautifully across one’s body. Shrinkage: Fabrics retain their shape and appearance after washing, have good stability, and do not shrink. Effect of Heat: Nylon fabrics should always be ironed at low temperatures. Usage of hot iron can result in glazing and sticking of the fabric. Effect of Light: Polyamide fabrics have low resistance to sun light. They are not suitable for curtains or draperies as it is weakened by the exposure to sun light. Resistance to Mildew: Fabrics display high degree of resistance to the development of mildew. Resistance to Insects: Polyamide is resistant to moth and fungi. Resistance to Perspiration: Polyamide fabrics are resistant to perspiration. Reaction to Alkalis: Polyamide has excellent resistance to alkalis. Reaction to Acids: Polyamide is less resilient to the action of strong acids. Affinity for Dyes: Polyamide can be easily dyed and is compatible with a wide range of dyes. Heat Conductivity: The heat conductivity of the Polyamide fabrics varies depending upon the fabric construction and the type of Polyamide (staple/filament) used. For instance, the filament Polyamide used in the open construction would be cooler when compared to the same filament used in a closed construction. In a closed or tight construction the air circulation through the fabric is limited. The heat and moisture of the body will not readily pass the fabric construction, which makes the wearer feel warm. Such fabrics are good for winter apparel, such as wind-breakers, but are not suitable for summer garments. On the other hand the fabrics with open construction permit the air circulation which makes the wearer feel comfortable. Absorbency: Polyamide fabrics have low absorbency. The main advantage of the Polyamides low absorbency attribute is that the water remains on the surface of the fabrics and runs off the smooth fabric and hence dries quickly. This property is extremely useful for raincoats and shower curtains. Cleanliness and washability: Polyamide fabrics are easy care garments. Polyamide fabrics are smooth, non-absorbent and dry quickly. Dirt doesn’t cling to this smooth fibre. Effect of Bleaches: The Polyamide fabrics are white and generally do not require bleaching.